Food companies in Ho Chi Minh City have had a hard time maintaining prices of pork and eggs owing to acute shortage of supplies, in order to stay by their commitment to the city’s price stabilization program. Companies complained about the situation at a meeting held by the HCMC Department of Industry and Trade on June 23 to review two months of implementation of the program in 2011. 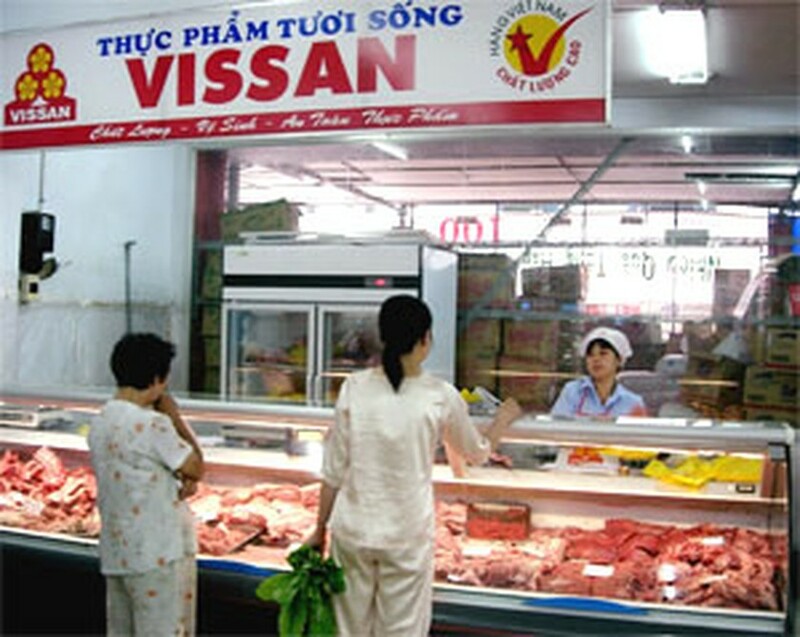 Tran Tan An, deputy general director of Vietnamese food company Vissan, said the price of live pork soared to VND63,000 per kilogram in HCMC, while it was VND68,000 per kilogram in the northern provinces on June 23. The price hike has made the price of pork thigh rise to VND105,000-130,000 per kilogram. Pham Thi Huan, director of Ba Huan Company, a leading egg supplier to the HCMC market, said her company demands about 2 million eggs per day, but farmers have been able to meet only 70 percent of the demand as they now sell their eggs to China. She said the company is committed to provide farmers with poultry feed and buy all their eggs, but since egg prices have surged so sharply farmers can’t sell their eggs to Ba Huan Co. at a price that is 5 percent cheaper than the market price. She believed that egg prices will continue to hike. A duck egg currently costs VND3.600-3.700 in the market, while that supplied by companies participating in the program goes for VND2.950-3.250. Pork and egg traders have worried that prices will increase more sharply from September to lunar New Year 2012. 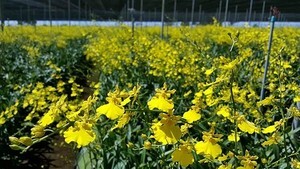 Addressing the meeting, Le Ngoc Dao, the department’s deputy director, asked traders to keep supplying the products at quantities that they have committed, while relevant agencies will consider the situation to set reasonable selling prices. Ms. Dao said relevant agencies will discuss with participating enterprises about increasing quantity and category of price-stabilized goods towards the end of the year. The city has considered adding more milk products of companies like Dutch Lady, Nutifood and Vinamilk to the list of price-stabilized goods, she added. She said in addition to developing product sources, the city will expand retail shops, especially in Hoc Mon and Can Gio districts, industrial parks and export processing zones, to serve the poor and workers. Mr. Dao said that so far, prices of many price-stabilized goods have been kept 10 percent lower than the market prices. The city has budgeted VND412 billion for stabilizing prices of nine essential food items from April 1, 2011 until after lunar New Year 2012.